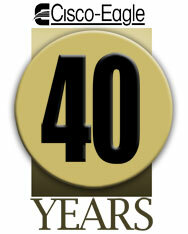 Cisco-Eagle was founded 40 years ago in November 1970 by our Chairman, Mr. Warren Gandall in Tulsa, Oklahoma. Warren worked for an industrial supply company that specialized in material handling at the time, and realized that he wanted his own company, one where he could innovate and change the way things were done. He had a vision for multiple distribution centers and sales offices across the southwest. This during the heyday of Tulsa’s energy economy. Richard Nixon was the President. A year earlier, a quarter of a million protesters staged an anti-war demonstration in Washington, D.C. But companies still needed efficient, organized, productive warehouses and manufacturing facilities just like they do today. Warren went into business with Inca, a pallet rack and shelving manufacturer. His newly-founded company, Eagle Material Handling, had just 3 employees. They took eight orders that first month, for just over $8,000 in total sales. Soon there were offices in Oklahoma City and Little Rock. Like many small business owners, Warren was a jack of all trades; he drove forklifts, billed customers, drew layouts, sold rack and shelving, took phone calls, executed installations, and designed catalogs. One of Warren’s hallmarks as a businessman is that he anticipates change and ways to profit from it. He brought in his lifelong friend Bill Cupps as a vice president and co-owner. Cisco-Eagle was probably the first company of our size in our industry to have a full-time marketing department. He guided the company toward conveyors, which eventually became our signature product. He founded Eagle’s Systems & Design Group to handle the first large systems project with QuikTrip Corporation in 1980. “All before CAD,” he said. “We generated hundreds of hand drafted drawings.” Warren was never afraid to try new things. 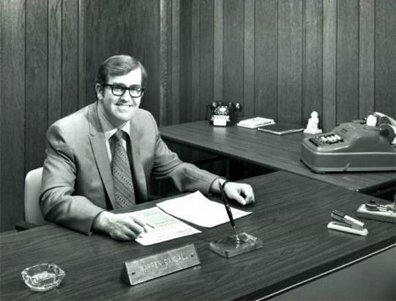 He bought Dallas-based Cisco Material Handling and eventually merged the two companies to form Cisco-Eagle, Inc. He drove Cisco-Eagle toward adapting itself to the web, and its possibilities for sales and customer service earlier than any of its peers. He once told me that half of business was not closing your eyes. In the late 1990’s he would sometimes talk to me about his vision for the company’s future. I didn’t know where he was going with it, but one day he talked about the profitability of Cisco-Eagle, and how he wanted to share it with me, and with my family, and with all of our families. I figured he was talking about bonuses, maybe some kind of profit sharing, but he had that gleam in his eye that made you wonder what he was up to. I had no idea he was contemplating what he eventually did – he gave the employees 70% of the company in 2000. I personally own thousands of shares. All of our full time employees either own shares, or will own them once they qualify. His eyes were – and are – always open to possibilities, not just for business, but for the people who worked for him. At Cisco-Eagle, we celebrate the employment date of every associate, but Warren was the first Cisco-Eagle employee and today marks the anniversary of Cisco-Eagle’s birth. From all of us, thank you Warren.